If the case studies and news highlights in this blog post are any glimpse of things to come — and I believe they are — social media dotcoms will start to become less important as marketers learn that the real power of a social network is not so much the Facebook.com or Linkedin.com websites, but the data they store about your customer’s preferences. The dotcoms will remain important to individuals. But for companies, the real opportunity is the ability to collect, analyze and market to the connections, identities and interests of a social network’s members. When aggregated, this data becomes a research panel that is richer and more accurate than ever before. We are starting to see evidence of web marketers using this data to drive sales on their own websites. It is already possible for websites to integrate social networking features with Facebook’s Graph API, which lets visitors bring their friends and interests with them to any website. It all starts with the “Login with Facebook” button. It gives visitors the chance to log into your website with their Facebook user name and password, and is followed by a “Request for Permission” screen (above), which gives website operators a chance to capture extended information about the visitor, such as the “like” buttons they’ve clicked, their birth date, the city they live in and more. Unlike Facebook’s Social Plug-Ins, which are very simple and easy to install, the Graph API is a bit more difficult to get up and running, but it also offers much greater access to read and write information from Facebook.com to a third-party, destination website. Websites that take time to do that, have access to richer information about their visitors than ever before. Facebook users profiles and actions create more accurate, detailed demographics than any other media channel. Integrating the Graph API allows online marketers to build stronger relationships with website visitors through greater insights about the preferences. Rather than just offer a searchable database of albums, artists and tracks and overwhelm visitors with infinite choice, online music service Spotify integrated the Graph API so users can see the music their friends like. Users can share play lists and see which songs their friends listen to most. “Spotify now sees 60% of their traffic coming from Facebook,” says Facebook partner engineer Simon Cross. The power of the Facebook platform is not so much Facebook.com, but rather, the connections, identities and interests of the network’s users. 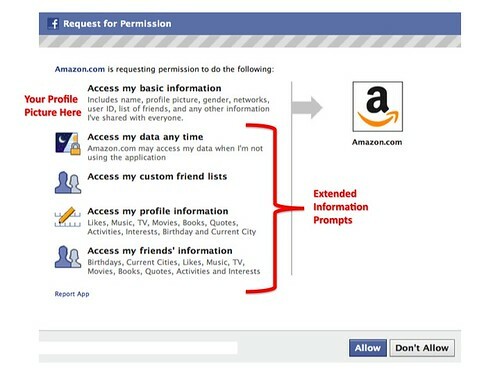 Amazon is using Facebook’s Graph API to take even more guesswork out of gift giving. Amazon introduced recommendations before Facebook even existed, but they were recommendations from anyone who had purchased something we bought. They weren’t personalized. They weren’t social. 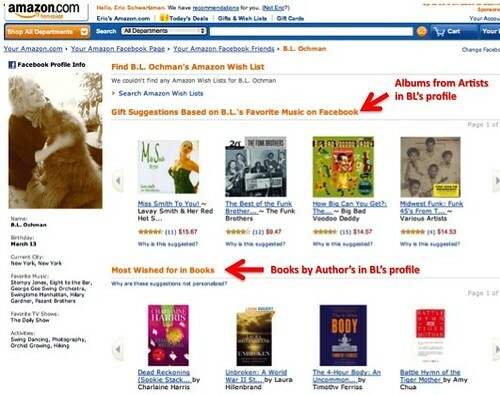 By integrating the Graph API, Amazon lets visitors know what recording artists and authors their friends like, what they’ve bought themselves in the past and when their birthdays are. Facebook Places recently announced their first European mobile integration with review site Qype, which has 17 million unique users across 10 countries and 9 languages. Since the launch, they’ve had 1 million mobile downloads of the iPhone App, which lets users see where their friends have checked in, see their friend’s check in history and check in at a location on Qype and Facebook in one action. “For us, the importance of Facebook information is about the power of friends to make a local decision,” says Qype Country Manager for France Vincent Wermus. From a marketing standpoint, Facebook’s Graph API solves a longstanding problem advertisers have with social media. They know mainstream media is inefficient, but at least they get demographics. RSS is a great distribution tool. It’s effective, efficient and cheap, but you have no idea who’s downloading subscribing to your blog or podcast, and no what they think about it. On the other hand, Facebook’s Graph API allows marketers to collect demographics on visitors, and in some cases, demographics visitor’s friends as well. When you have a rich store house of user preferences to cross reference website activity against, you’re in a much better position to profit from them. From a consumer privacy standpoint, as people start waking up to how the Facebook Graph API works, they’ll become more demanding about the quality of the services they trade their personal information for. If it’s lame, why give up your extended data, or your friend’s data? Facebook’s Graph API is the most powerful way of leveraging the Facebook platform, but Facebook’s Social Plug Ins and Facebook Pages are worth investigating as well. Interestingly enough, last week Hoover’s announced a deal with Linkedin to provide “seamless integration between Hoover’s information on 31 million companies and 37 million people with LinkedIn’s professional network of business contacts.” We’ll have to wait and see how the actual wind up doing that, but what we’re witnessing is the next evolution in social marketing. Companies are beginning to appreciate that when you have a rich store house of demographic and psychographic to cross reference your website activity against, you’re in a much better position to satisfy your customer’s preferences. This post was written from a presentation delivered by Facebook partner engineer Simon Cross at Le Web 2010 in Paris. 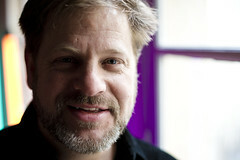 A podcast of his presentation is available as well.